This is the first-ever book on the rise of the new wave of independent Indian films that is revolutionising Indian cinema. Contemporary scholarship on Indian cinema so far has focused asymmetrically on Bollywood—India’s dominant cultural export. Reversing this trend, this book provides an in-depth examination of the burgeoning independent Indian film sector. It locates the new 'Indies' as a glocal　hybrid film form—global in aesthetic and local in content. They critically engage with a diverse socio-political spectrum of ‘state of the nation’ stories; from farmer suicides, disenfranchised urban youth and migrant workers to monks turned anti-corporation animal rights agitators. This book provides comprehensive analyses of definitive Indie new wave films including Peepli Live (2010), Dhobi Ghat　(2010), The Lunchbox (2013) and Ship of Theseus (2013). It explores how subversive Indies, such as polemical postmodern rap-musical Gandu (2010) transgress conventional notions of ‘traditional Indian values’, and collide with state censorship regulations. This timely and pioneering analysis shows how the new Indies have emerged from a middle space between India’s globalising present and traditional past. This book draws on in-depth interviews with directors, actors, academics and members of the Indian censor board, and is essential reading for anyone seeking an insight into a current Indian film phenomenon that could chart the future of Indian cinema. 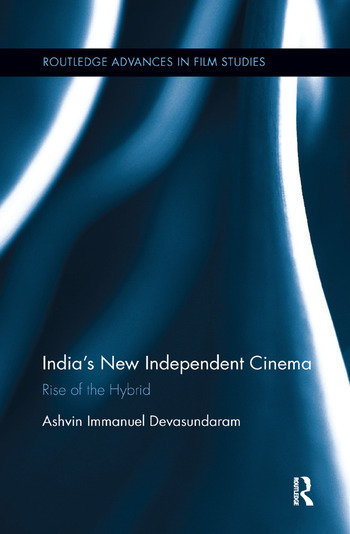 Dr. Ashvin Immanuel Devasundaram is Lecturer in World Cinema at Queen Mary, University of London, and author of India’s New Independent Cinema: Rise of the Hybrid (Routledge, 2016). Ashvin was on the advisory panel for BFI India on Film – part of the UK-India Year of Culture 2017. He is Programming Adviser and Associate Director of the UK Asian Film Festival – London (UKAFF), former Creative Director and founder of the Edinburgh Asian Film Festival (EAFF) and a BBC Academy Expert Voice in Cultural Studies and Visual Arts. Apart from several publications, including the co-edited anthology South Asian Diasporic Cinema and Theatre: Re-visiting Screen and Stage in the New Millennium (Rawat Publications, 2017), Ashvin has delivered an array of international presentations and lectures. These include keynote speeches at the Cinema For All (British Federation of Film Societies) Community Cinema Conference 2017 and the Annual Dadasaheb Phalke Memorial Lecture 2015 in London. Ashvin directed the documentary film Movies, Memories, Magic (2018) charting the London-based South Asian diaspora’s memories of cinema.